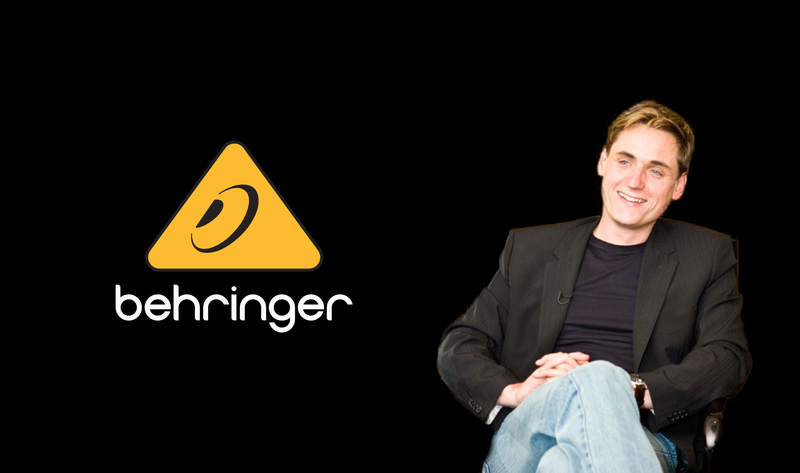 Wie jetzt via CDM bekannt wurde, hat Behringer im Juni letzten Jahres versucht, den amerikanischen Hersteller Dave Smith auf Schadenseratz zu verklagen. Das Unternehmen, das bereits letzte Woche durch eine angedrohte Verleumdungsklage gegen den chinesischen Musik-Blog Midifan negativ auffiel, verlor den Fall allerdings. Auch 20 anonyme Forum-User waren Teil der gerichtlichen Auseinandersetzung. 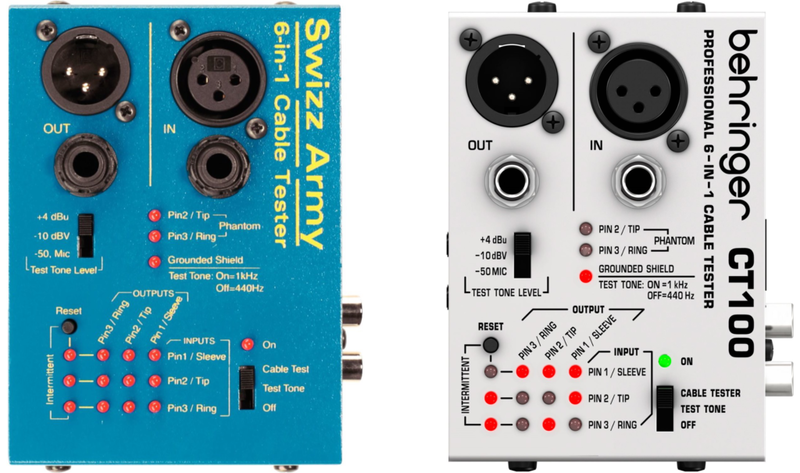 Der Grund der Klage war, dass ein Mitarbeiter von Dave Smith sich im Forum Gearslutz negativ über die Produkte von Behringer geäußert und die Geschäftspraktiken als „underhanded“ (hinterhältig) bezeichnet hatte. Auch ein spezifisches Produkt wurde dabei genannt, der Behringer CT100 Kabel Tester sei eine „blatant copy“ (unverhohlene Nachahmung) eines Ebtech Produkts. Die Aussagen seien „false, defamatory, and libelous“ (falsch, diffamierend und verleumderisch) und hätten dem Unternehmen Schaden zugefügt. Die in verschiedenen juristischen Kategorien vorgelegte Klage über 250.000$ wurde vom San Francisco Superior Court jedoch bereits am 09. Juni 2018 abgelehnt, da die betreffenden Aussagen in einem öffentlichen Forum getätigt wurden und auch in ihrer Thematik von öffentlichem Interesse sind. Außerdem sei der DSI-Mitarbeiter nur Angestellter und nicht selbständig im Instrumenten-Business tätig. Der Prozess ist allerdings noch nicht zu Ende, Dave Smith Instruments verlangt nun im Gegenzug von Behringer die Erstattung von 119,250 USD Gerichtskosten. Mittlerweile hat sich auch Behringer und die Dachfirma Music Tribe zu den Vorfällen rund um den chinesischen Blog Midifan und dem letztjährigen Prozess geäußert. In einem in der Facebook-gruppe von Music Tribe offenen und an CDM-Gründer Peter Kirn gerichteten Statement, verteidigt Uli Behringer sich über seinen persönlichen FB-Account gegen die Vorwürfe. Music Tribe sei ein mehrfach ausgezeichneter Arbeitgeber in der chinesischen Region Zhongshan. Auch sei gegen Midifan keine Klage erhoben worden, da der Blog versichert habe, in Zukunft keine „offensive language“ mehr zu verwenden. Bezüglich des letztjährigen Prozesses: Der betroffene DSI-Mitarbeiter habe im Vorfeld der Klage unterzeichnet, „inkorrekte“ Bezeichnungen der Behringer Produkte zu unterlassen. Als dieser sich nicht an die schriftliche Abmachung hielt, sei eine Klage unvermeidbar gewesen. Chinese Media Case Allow me to first comment on the previous story related to the Chinese Media case. While you had claimed to have reached out to us for comments, there is no such record in any of our systems. You only contacted me and Michael Lapke last weekend after the news was already a week old. Let me start by saying that we don’t have any problem with people criticizing us. In fact we appreciate constructive criticism as that’s the only way to learn. What we have a problem with is when our employees are being called highly offensive and insulting names by media outlets. Unfortunately your article did not properly reflect the full content and background of the language used, which in the Chinese culture has a highly different sensitivity and legality. This was not only raised by our Chinese colleagues but also customers of this media site who felt compelled to contact us. Also publishing pictures of a cancer-fighting colleague in a hospital bed has caused deep concerns among our people. We sent the owner of the publishing site a Cease-and-Desist letter, but he was never sued as wrongly reported. We have since spoken with the publisher and they have promised to remove the offensive language and refrain from posting such slur in the future. We consider this case to be resolved and he also has standing invitation to visit us. Since our employee welfare and integrity has been severely questioned by this Chinese magazine and whose accusations have later been repeated by CDM and other publishers without fact checking, I like to post a link to a local job portal that may give you a different impression. We also invited you Peter (and everyone else) to visit us, both in Manchester and Zhongshan. Some time ago an employee of DSI had posted false and slanderous statements about our company on multiple forums. We put both the employee as well as DSI on notice and received a signed Cease-and-Desist letter from the employee where he assured us that he would refrain from such future comments. I have attached a copy of the undertaking of the employee to stop making such comments. In the reply of DSI, the company stated that it has instructed all employees to stop making any derogatory statements against us. It is important to understand that this is not a legal action against a mere individual but a representative of a competitor. Any such false and disparaging comments made by DSI’s employee(s), are damaging and inappropriate in a highly competitive market such as ours. If the employee had stopped his actions as agreed, the case would have never been filed. Unfortunately and despite the signed declaration, the individual working for DSI chose to continue to make slanderous claims and hence we were forced to take legal action. While I am not a lawyer, I can only assume that including 20 “John Does” is part of a standard legal procedure to include other potential individuals related to the company. For clarity purposes, this case has nothing to with any particular forum or individuals other than those related to DSI. Allow me to post an article about IP (Intellectual Property) as this is an important one to us. Especially because we have been accused of not honoring the IP of other manufacturers. I have heard and read over the years many accounts of lawsuits, judgments and sanctions against our company that are frankly based in fiction and not fact. Technology is free for anyone to use unless it is protected. This is the fundamental principle of every industry and how we as a society progress and evolve. Imagine there was only one car or guitar manufacturer. I welcome this opportunity to set the record straight not only on past cases but to also clarify our view on IP and what constitutes fair competition as well. About 30 years ago, as a small garage operation, we became involved in a patent dispute with Aphex over a processor we were building. At that time there were several companies who produced those exciters, such Akai, SPL, D&R, etc. Our patent attorney advised us that the Aphex patent was invalid and I also applied for my own patent (DE3904425), with sponsorship from the acclaimed Fraunhofer Institute, the inventors of MP3. Despite assurances and our own beliefs, we ended up in court where the judge ruled in Aphex’s favor and we lost the case. We paid damages and moved on. This case illustrates very clearly what I came to understand over the ensuing nearly 30 years about patents and IP. Disputes over intellectual property are commonplace in many industries and especially so in the technology industry. IP is a grey area, as it deals with patents, trade dress, copyrights, designs etc. where not much is black and white. Just look at cases with Roland versus InMusic, Gibson versus PRS, Peavey versus QSC, Microsoft, Blackberry, Yahoo, Google, Samsung, Apple etc. Lawsuits are often used as “guerilla tactics” and especially common in the US where legal fees are sky high and each party has to pay its own fees regardless of the outcome of the case. One needs to be clear about the distinction between blatantly copying someone else’s product and the principle of reverse engineering. Copying a product 1:1 is clearly illegal, however reverse engineering is something that takes place every day and is accepted as part of a product development process known as benchmarking. Often one company will establish a new market opportunity for a unique product and others will follow with their versions of that pioneering product. Think iPhone followed by Samsung Galaxy. This is the principle of competition. The Article from Berkeley Law School gives a great read and provides valuable background information. A quick excerpt demonstrates why public opinion often differs from the law. One of the cases that endures in people’s memories is when we were sued by Mackie over alleged infringement of their IP. After a series of very costly and bitter court cases which we all won, Mackie reached out to us for a settlement which did not involve any money. It was proven in court that we had not copied their schematics or PCB layouts, nor had we infringed on any patents as there were none. Nor had there ever been any legal cases brought by BBE, dbx or Drawmer as claimed by Mackie as part of their marketing campaign against us and which was later erroneously reported by Wikipedia and even CDM. In our first two decades, most of our products were designed to follow market leaders with similar features and appearance, at a lower cost. This value proposition upset many of our competitors while at the same time earning us a huge fan base among customers. I fully understand that many of those competitors would be frustrated by our ability to deliver equivalent or better products at significantly lower prices and that is the source of much of the anger directed at us by them. Since the Aphex case we have been sued several times and we equally had to sue competitors over infringement of our IP. This happens in every industry and is part of a fierce and competitive landscape. However, to be clear, we have not lost any substantial IP case since the Aphex case 30 years ago and legal cases are a matter of public record. We are committed to never engage in any activity that willfully infringes on the intellectual property rights of any company or individual. However, we are also aware that legal wrangling will continue as we press on with our philosophy of delivering the best products at the lowest possible cost. We welcome criticism I am a big believer in free speech and welcome any form of constructive criticism, as this is the only way for us to learn and improve. We also don’t mind any comments made or language used by individuals as this is a matter of personal choice. It becomes sensitive when incorrect or defamatory statements are made by competitors and the media. While there is free speech, words do have consequences and since we are all bound by the law, the rules should be applied equally to everyone. Once again, I understand that people have their opinions and preferences and I fully respect that. I also understand that some people don’t like me or our company, and chose not to buy our products which I respect, too. Since we started our company 30 years ago, we have always carefully listened to our customers and built what they wanted us to build. Sometimes people would request us to improve an existing product in the market, sometimes they would come up with a complete new idea. In fact many of the ideas for our most successful products have actually come from our customers and for that we are immensely grateful. However, we are also aware that legal wrangling will continue as we press on with our philosophy of delivering the best products at the lowest possible cost. This is the philosophy I started Behringer on 30 years ago, and this is the philosophy that will carry us into the future. 0 Kommentare zu "Behringer verklagte Dave Smith und Forum-User über 250.000$"